Independent bottler Douglas Laing & Co has revealed plans for a £10.7m whisky distillery in Glasgow. 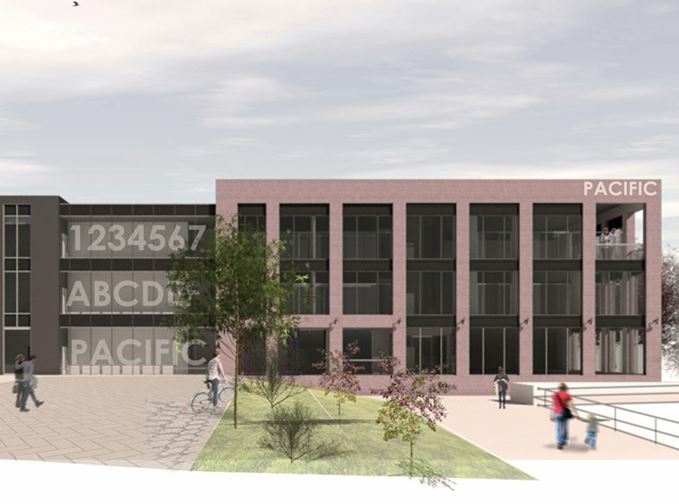 The as yet unnamed distillery, which will be built at the Pacific Quay development on the banks of the River Clyde adjacent to Festival Park, will produce ‘considerably more than’ 100,000 litres of single malt spirit each year. In addition, the site will feature a whisky archive, bar and bistro, visitor centre, warehousing and bottling plant, and act as the new head office for Douglas Laing & Co’s blending and bottling operation. The distillery will be fitted with traditional swan neck wash and spirit stills, with fermentation taking place in wooden washbacks. Chris Leggat, finance director for Douglas Laing & Co, said the distillery will produce a ‘gritty, urban style of malt’. ‘We won’t be making a traditional Lowland whisky; the exact opposite in fact,’ he said. ‘We’ll be looking for more strength and a style more toward the Speyside and Highlands. Our whisky will be unique for one produced in the Lowland area of Scotland. The family-owned and operated business, which is currently based near Finnieston in the city, is to receive a Scottish government grant of £855,000 through the Food Processing Marketing and Co-operation (FPMC) grant scheme. Cara Laing, director of whisky at Douglas Laing & Co, said the company was keen to build its own distillery in order to secure long-term stocks of its own whisky, although independent bottling would remain the core focus of the business. She said: ‘Instead of being perceived as an independent bottler, we will become a distiller, owning the production process from start to finish – from barley to the bottle. Due to open in late 2018, Douglas Laing & Co’s distillery will sit across the River Clyde from the soon-to-open Clydeside distillery, and will be the city’s fourth whisky distillery, joining the existing Strathclyde grain plant and Glasgow single malt distillery. Planning is at an ‘advanced’ stage and is awaiting permission from Glasgow City Council. However, the company anticipates that work will begin on the site by the end of the year, and a name will be announced in due course. ‘As we approach our 70th anniversary, we are seeking the step-change which will see us relocate to help us achieve our global growth aspirations,’ Laing added. Douglas Laing & Co was founded in 1948 by Cara Laing’s grandfather, Fred Douglas Laing, as a blender and bottler. The company is now run by Cara Laing and her father, Fred Laing. In 2018, Hunter Laing & Co – the company belonging to Fred Laing’s brother, Stewart Laing – is due to open its own whisky distillery on Islay. Glasgow Museums set to display last known miniature, produced in the 1970s by Douglas Laing & Co.